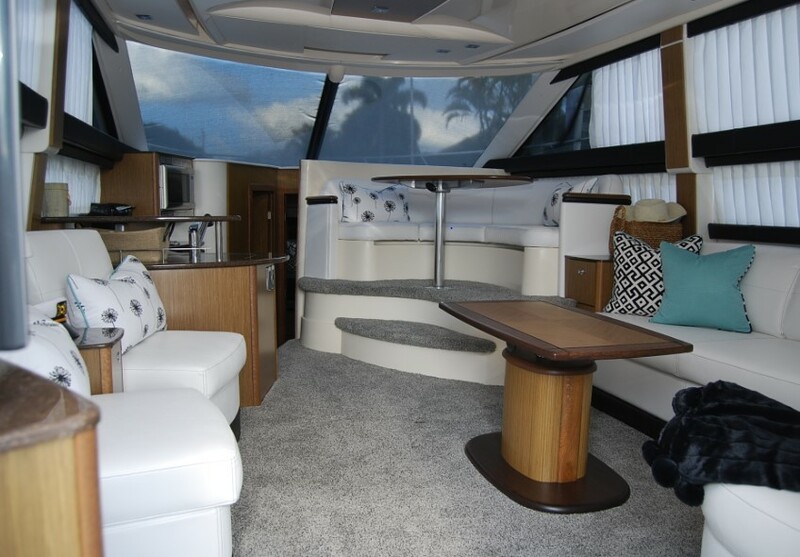 Did you know that SandStar Interiors can also update your boat interior? It’s true! Here are some details of a project recently completed with both before and after photos. 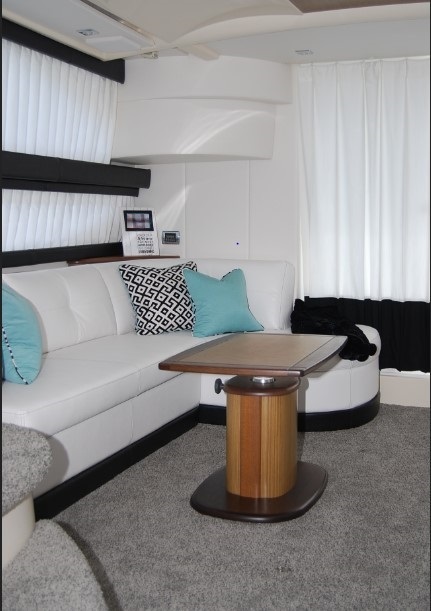 Many of the interior elements were replaced with new materials which updated the appearance of the entire boat, including new carpeting throughout, new marine vinyl upholstery, honeycomb shades changed to curtains, new screening and all bedding and pillows replaced. Sagging and uncomfortable seating. All cushions were at different heights. Black and white color story with turquoise accents. The new black and white heather carpet is a high-performance material which is soft under foot. All bumpers are now black. The wood elements were not changed. The sofa cushions are now even and straight while the seating was made deeper and styling was updated to a single tufted back cushion. 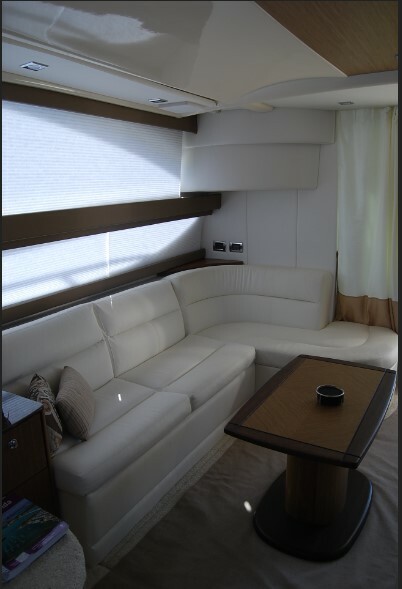 Black topstitching was used on the white upholstery in selected locations. 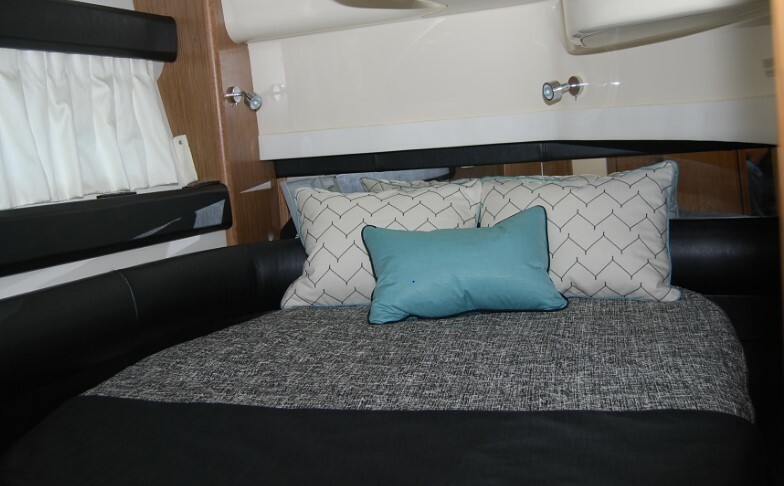 All accessories were unified to continue the black and white and turquoise accent color theme so all items could be used as needed anywhere on the boat. 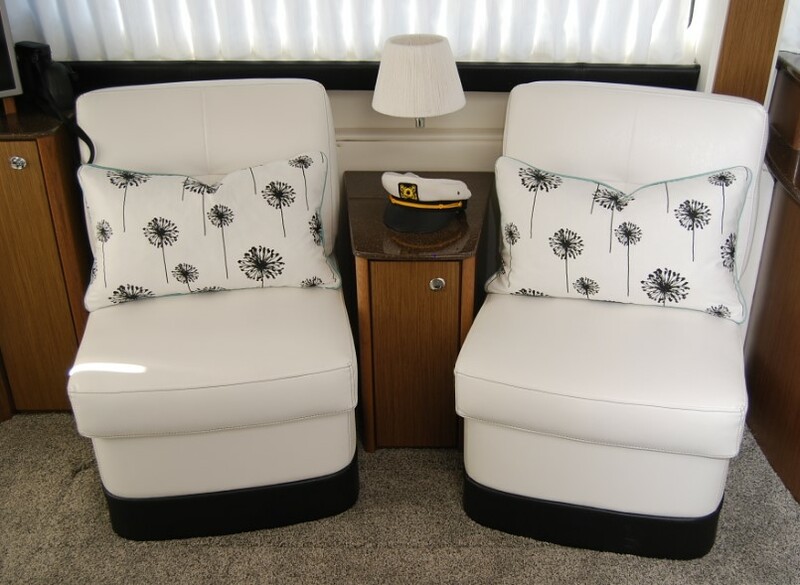 We at SandStar Interiors are happy to help you with all your home furnishing needs, including upholstery, case goods, area rugs, custom draperies, art, mirrors, wallcoverings and accessories. 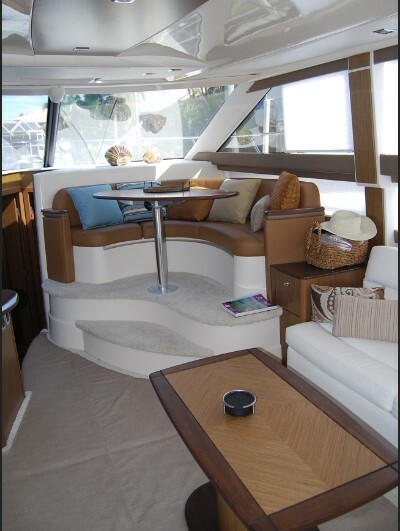 This certainly was a fun project working on this boat!